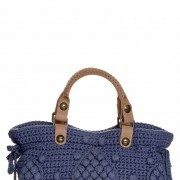 Knitted bag from Ralph Lauren. 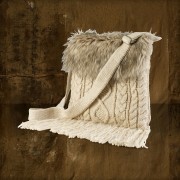 A lovely bag with faux fur. 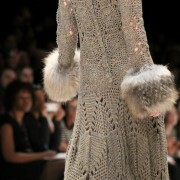 I liked so much the unusual combination of colors of knitted wool dress that have chosen brand Burberry, I see this dress very elegant and original. And what do you think about? 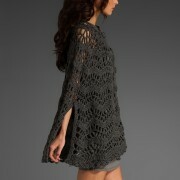 It is a very pretty crochet poncho. 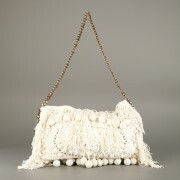 A poncho is very romantic and fashiony. It’s pattern resembles a wave. Unfortunately I do not know who is the author of that cute poncho, but it’s beautiful! Very great idea!